Anna is a writer, mom, crafter, and movie buff. Her favorites are horror movies and horror stories, thanks to some inspiring parents. No one can really say for sure what a ghost is, or if they even exist. Many people claim to have seen or experienced something, but who really knows for sure? 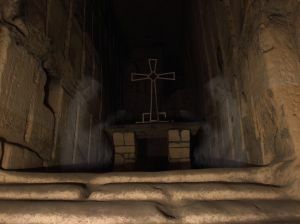 There is no conclusive evidence to really say one way or the other what a ghost is, or if they even exist. 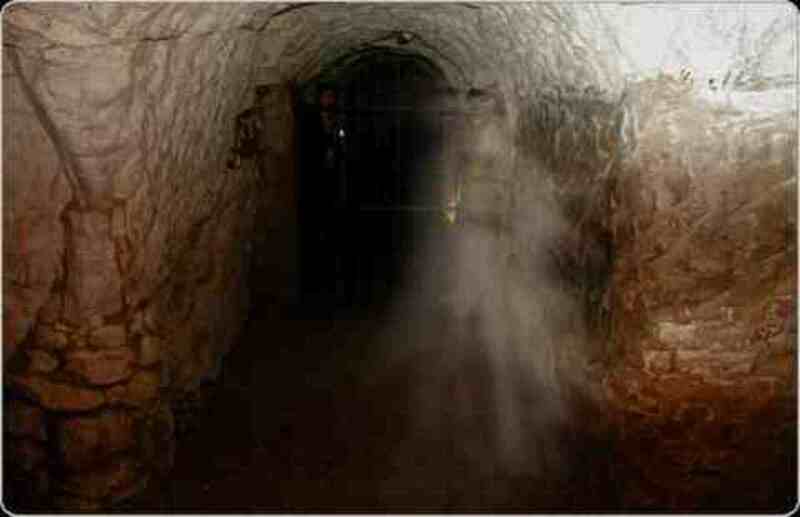 There are those that "hunt" ghosts, and use sensitive equipment to detect the presence of ghosts. Are they really picking up evidence of ghosts? 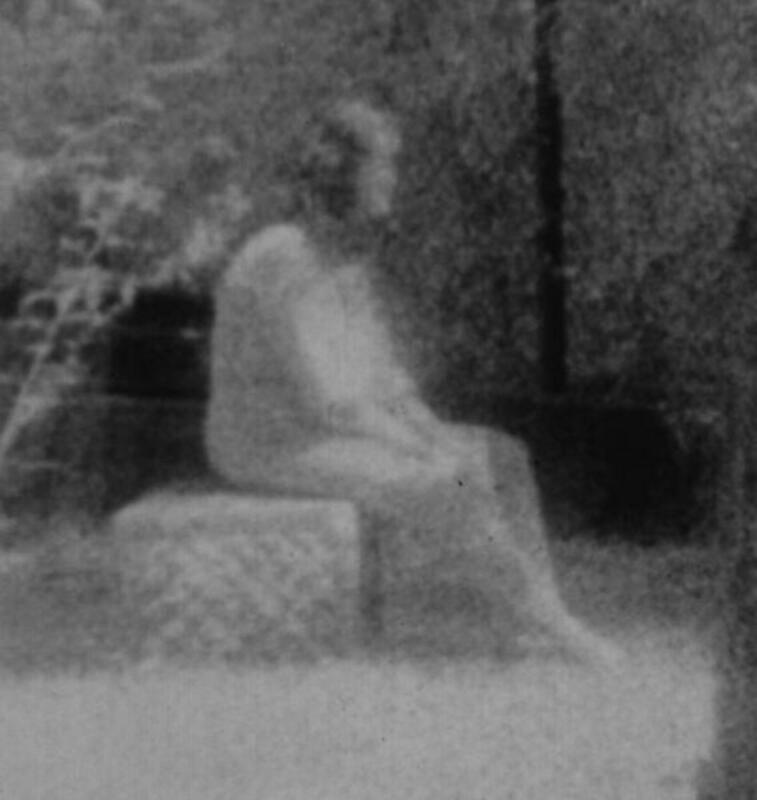 For some, ghosts are the things of campfire stories and scary movies, for others they are taken very seriously; for some, they are a part of religion and cultural history, and for a small group, they are even a way of life. Much time has been spent on this question of ghosts. 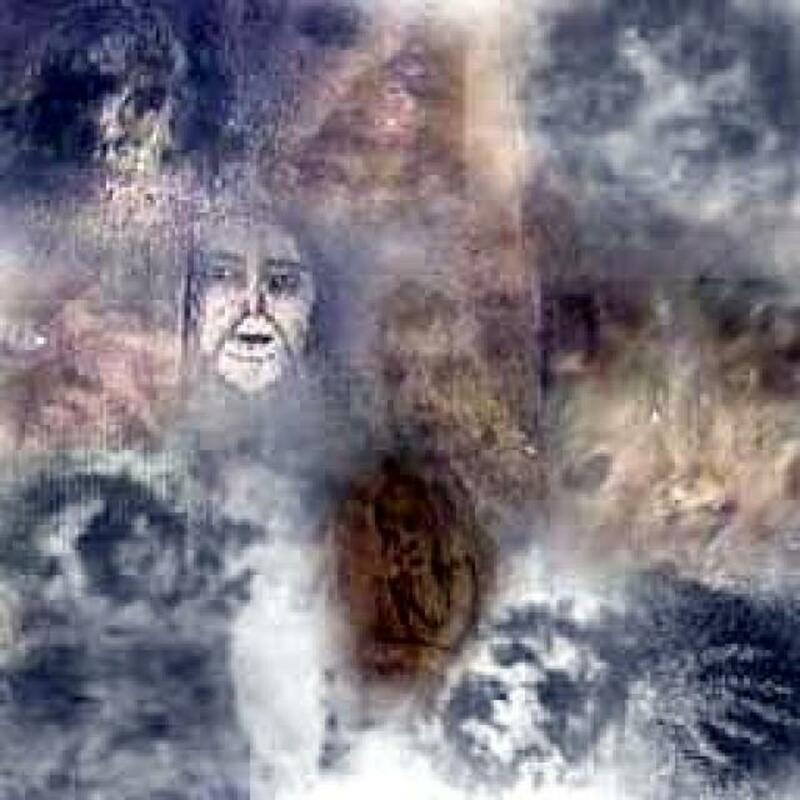 Many names have been given; spirits, phantasms, poltergeists, and many others. A whole genre of movies and literature deal with this question. Even a 'science' has sprung up around answering the question of what is a ghost, and are they real. I am not a scientist, a spiritualist or a psychic. I am just a person. I don't know what the answers are to the great questions of this world or what lays ahead of me after I die. I just know what I have seen and what I have felt. As to what is really behind what I have seen and felt...well, I can't really answer that either. Waverly Hills Sanitarium! I want to go there!! I guess my first strange experience would have been very shortly after my grandfather passed away. He was a great man, and the only positive father-figure I had in my younger life. I loved him dearly. He was stricken with cancer, and the Christmas of my senior year of high school was the last time I saw him. At that point, his doctors gave him a fairly clean bill of health. The cancer had gone into remission. We were overjoyed. Shortly after that, he took a drastic turn for the worse. Most of my family was able to visit him before he died, but I never got the chance. He died only three months after that supposed clean bill of health. The family trecked down to my grandparent's house many hours away. It was a very full house, as I come from a rather large family. Many of us took to staying with neighbors, or camping on the large property. I was the only one in the family who never got to say goodbye. The night before his funeral was the night of my experience. I was getting ready for bed, settling down for the night. I had chanced into my pajamas, and was just getting under the covers when a strange blue-ish light filled the room. The light took on the shape of a person. I started to cry. The shape never took the definitive shape of my grandfather, yet I instantly knew it was him. I smelled him, and felt him. He never spoke, but I could feel a sense of love and calm. I spoke to him. I told him I was sorry, and that I loved him. I told him how ashamed I was that I had not been there to say goodbye. I told him that I was pregnant, and even though I had no way of knowing what the baby would be at the time, I knew at that instant, that it would be a boy. I felt the wave of love and understanding that was so much a part of his nature. I knew that he did not hold anything against me, and that he loved me still. I will never know if I was truly visited by the ghost of my grandfather, and part of me is fine with that. I had been racked with guilt over not getting to say goodbye, and with the situation I had got myself into. My experience helped me to deal with it all. I know it was not a dream, since I hadn't even laid my head down on my pillow yet. Was it a trick my mind was playing on me due to the stress and guilt? It's possible, but it seems unlikely to me. I have been through far more stressful situations and never once had an experience even close to that. Having said that, I guess there is nothing more to say. Now, this didn't actually happen to me, but it relates to the previous story of my grandfather. It involves a strange phone call my mother received a few months after my grandfather passed away. She was at work one day when the phone rang. She answered, and dealt with the client's issue. When the business at hand had been tended to, and the conversation was coming to a close, the man said something that struck my mother. He told her, "You need to make peace with your brother, because your father would have wanted that. He would not want you to continue to be at odds with each other." My mother did not know what to say. 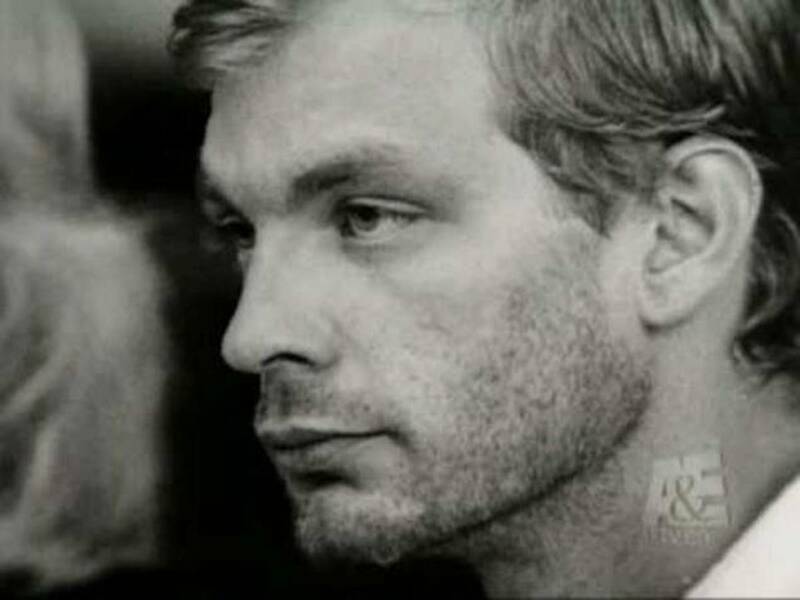 She had never met this man, never even talked to him on the phone before, and he knew nothing of her life, or her family. He had no way of knowing of my grandfather's passing, or of the issues she had with her brother. It was true that my mother and her brother were not getting along. It is also true that my grandfather would have wanted them to patch things up. After all, we are family. My grandfather loved his family dearly, and hated seeing any of us not getting along. My mother asked him to repeat what he had said. I guess to make sure she heard him right. He repeated what he had said, and told her that as they were talking, he just got the strongest feeling that he had to tell her that. She didn't know what to think. The wounds were still fresh over the loss of her father, and it upset her to think that he felt the need to reach out and give her that message. Was this man a psychic? I don't know. I never met him, I never talked to him, and I have no way of knowing if this sort of thing happened to him often. Was my grandfather reaching out from the afterlife to give my mother a message? I don't know. I wish I had the answer to that. All I know is that somehow, this man knew these things that he should have had no earthly way of knowing. It did help my family out. My mother and her brother have made a little bit of peace with everything they were dealing with, but it has been a long road. Unfortunately, after I initially wrote this, my uncle also passed away. My mother and uncle were able to make amends to a certain extent, and for that, I am grateful. 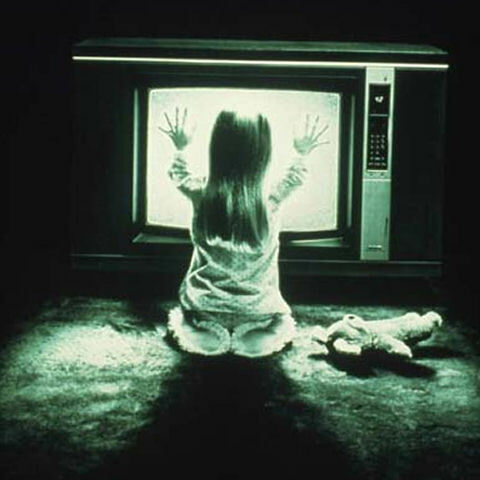 Little Carol Anne from Poltergeist. This next set of experiences all tie in together. They all relate to the very untimely death of my little sister. She died as a result of a car accident when she was only 18. It started out with a very bad nightmare one night, months before the accident. He gets off the phone, and tells me that my little sister has been in a car accident and has died. This is the point where I scream and wake from my dream. I am crying and screaming. The noise wakes my husband. He tries to calm me down. I am inconsolable for a long time. I cried for what seemed like hours. He finally manages to calm me down, but the dream seemed so real. I didn't know what to do. Do I call my mom in the middle of the night to make sure my sister is ok? Despite the fear that the dream had left me with, I knew that it was crazy to do so. I decided to call in the morning, act as if nothing were wrong, and see if everything was ok. My sister was fine, she was at school, everything was good. I put the memory out of my head. I made up my mind that it was just a dream, a bad nightmare, and in the light of day, it didn't really seem so bad. It shook me up, but it seemed that everything was fine. Two months later, on the very day my grandfather passed away, in fact, I got home from work early, and my husband was there to greet me. He had gotten the rest of the day off of work. That rarely happened. I was happy to see him. I laid my daughter down for a nap, and decided to take a nap, myself. I had barely been asleep an hour when the phone rang. My husband answered the phone, and the noise woke me up. I was coming out of a restful sleep, and heard the word, ";;accident";;. ";;Is she ok? 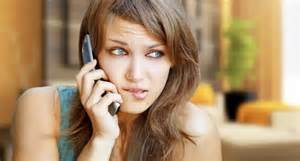 ";;, my husband asked the person on the other end of the phone. In that instant, my dream came flooding back to me. My heart sank. I couldn't breath. He got off the phone and told me that there had been an accident. My sister had been in a car accident. The only difference between this and my dream, was that my sister did not die that day. She remained in a coma for several months, and was making slow, but steady progress. She died eight months after the accident, due to an infection that her weakened immune system could not fight off. After my sister's death, strange things have happened. They still happen to this day, almost six years later. We have never been able to explain them, and I don't know if we ever will. Some things are better left without an explanation. The first involves her TV. Shortly after her death, the TV started turning on and off by itself. Someone would walk into the room, and the TV would be on, for no reason. One of us would go to turn it off, and it would go off before we got our finger on the button. It has always been random. Happening for a few days at a time, and then cease for months. Sometimes it stays on for a few seconds then shuts off, only to turn on again a few seconds later, and sometimes it will stay on for a minute or two, only to turn off again until someone turns it back on. There is no consistent pattern. I had her TV in my room for over a year and I tried to find a pattern. I never found one. I watched and paid attention to see if there was any relevance in what is on at the time or what was said, but I found nothing. Was it my sister playing jokes? Maybe, she was a fun loving person. She liked to joke around. Was there something wrong with the TV? Some sort of electrical problem? I don't know. It is possible. We never had anyone look at it to find out. It seemed to work fine, otherwise. The picture is fine, the cord is in good shape, and I can't see any damage. If it was some sort of problem with the television, I would think that it would have stopped working by now. Six years is a long time for a television to have an electrical problem and still be working, but then again, I don't know a lot about the inner workings of a TV, so I can't really say for sure. I have since moved on, and the television is still at my parent's house. They had it in their room for a while, and the strange happenings continued. Then there is the wind. I know, the wind is a force of nature, and nothing supernatural. But, there is something there. Every time we visit the cemetary where my sister is buried, the wind is always blowing fiercely. It could be a perfectly calm day, with no wind, but at the cemetary, the wind whips around us with great force. I don't know how to explain it. There are no tall buildings nearby to channel the wind, like in a city. There are enough buildings and trees around to block some of the wind you would find on an open field. I could stand outside, in my yard, and have hardly a hair move out of place, but if I go to the cemetary on that very same day, I would hardly be able to keep my hair out of my face. I am not an expert on weather or wind patterns or anything like that. I just know that it strikes me as odd. And I am not the only one. Several people have noticed this as well. Is it something about the placement of the cemetary? Is there some natural explanation? Maybe. I don't know. I just know that even on the calmest day, the wind is always blowing when I am at the cemetary. 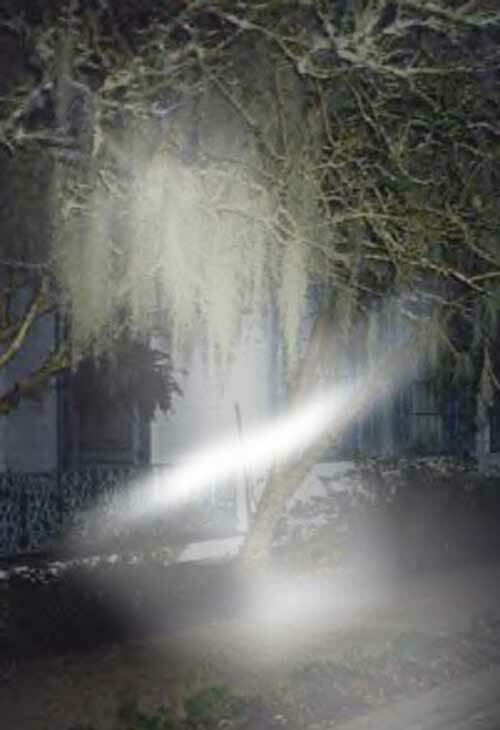 Ghost at The Myrtles Plantation? 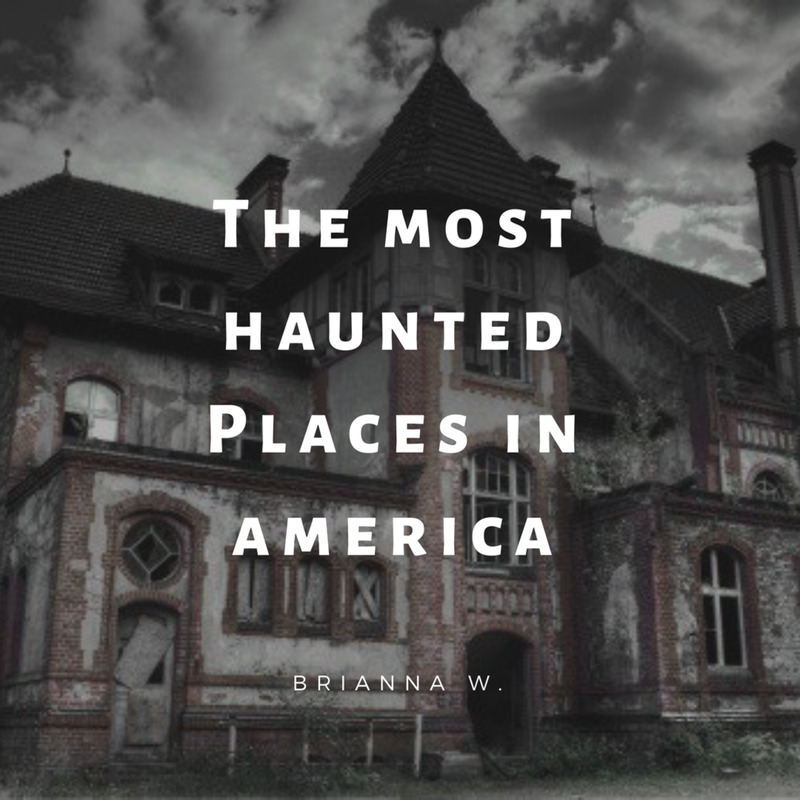 Supposedly the most haunted place in the US. I have moved many time in the past few years. A few years ago, I moved into an apartment with my fiancé. He has a lot of interesting, and sometimes disturbing stories about encounters with the paranormal. I believe him completely. When he told me the apartment had a ghost, I didn't doubt him for a minute, but waited to see what would happen. Well, "Carl", as I came to call him, is an interesting character. He is more of a prankster than anything scary. He would rattle things around in the kitchen, sometimes in response to our comments. He messed with the thermostat on our air conditioner; sometimes it will be 85 degrees in the house, and then it will drop to 72 for no reason at random times during the day. It was not a programmable thermostat. I kept telling him that if he was going to mess with the thermostat, he was going to have to start paying the electric bill, but he has yet to cough up a dime. I guess being a ghost doesn't pay all that well. He never seemed to bother me too much, and I have only seen him once. I was sitting on the couch watching television, and saw a white shape out of the corner of my eye over by the bathroom door. It was nighttime, and that area of the apartment was dark...except for this white shape. I knew it was him. My fiancé wasn't home, so I had no one there with me to confirm that I was seeing what I thought I was seeing, but since I knew I was awake, I don't do drugs, and I have no physical or mental illness that would cause hallucinations, I am fairly certain of what I saw. As I said, he never messed with me too much, but he liked to mess with my fiancé. He has even gotten a little aggressive. One night, I was at home, and my fiance was coming home from work. I was sitting on the couch when the front door opened, and my fiancé walked in the door. As he walked by the laundry room, a large squirt gun flew off the shelf in the laundry room and hit him. The squirt gun had been on the shelf for weeks, stuck in a box on the shelf. It was literally tucked down in a box, where it would not have just fallen out. Even if it had fallen, it would have landed on top of the dryer, and not flown six or seven feet into my fiancé. "Carl" had a habit of messing with my fiancé in the shower, as well. "Carl" would throw things at him, knocks things over, and had even scratched him a few times. My fiancé never appreciated this, I am sure. I don't blame him. I wouldn't be talking as fondly about "Carl" if he had done those things to me. Late one night, "Carl" really scared the crap out of me, though. I was watching television, and my fiancé had started to fall asleep. All of a sudden, I hear this loud crashing noise. It sounded as if the shelf in the closet had fallen down. I checked the hall closet, the laundry room shelf, the bedroom closet, and everything appeared fine. I could not find the source of the sound. It couldn't have been outside, it was too loud for that. Being unable to find the source of the noise, I went back to watching television and shortly after, went to bed. The next morning, I went into the laundry room to throw a load of clothes in the washer. There, on the floor, in front of the washer was my iron. It had been on the shelf (the same shelf the squirt gun had been on) for almost two months. I had only used it once, and then put it away, tucked into a bin on the shelf. It was now on the floor. "Carl" seemed to focus his activities to a small area of the apartment. The kitchen, laundry room and bathroom were all connected by a small section of hallway that just so happens to be where the thermostat was located. Why this area? Was there something in the laundry room he wanted me to see? Was there something on that shelf? I don't really know. Did someone die here? I don't know that either. I just know that whoever he was, and for whatever reason, he was in our apartment. We put up with him, and made jokes about it. I like "Carl", but hoped he would lighten up on my fiancé a bit. I don't know why he never seemed to like my fiancé very much. Those questions will never be answered, I guess. We have moved on from that place. Truth be told, I kind of miss "Carl", and sort of wish he had come with us. I thought that in writing this, I would have found at least a few answers, but I find myself left with more questions than I had before. I guess I will never have the answers until it is my time to see what lies ahead, after this life is over. I believe that there is something out there greater than all of us, but don't know what that is. I believe that there has to be more to existence than just what we know. I just have no idea what. What lies ahead after we have taken our last breath? Heaven? Reincarnation? Emptiness? None of us know for sure. Some have faith, some do not. Do ghosts exist? What exactly is a ghost? Some believe, and believe they know the answer, and some do not believe. I don't know the answers to any of these questions. All I know is that there are things that have happened to me that I cannot explain very easily. There are things that have happened to people I know, and know to be very level-headed, that cannot be explained easily. Some are unique to me or to others, and some have been shared. I just know that I can't dismiss any idea or belief. Each of us has lived a different life, and had different experiences to draw from. Each of us is touched by the same things in far different ways. It is like the story of the blind men and the elephant. Each man touches a different part of the elephant and imagines a different thing. Each of us is like one of the blind men, each of us touching, or being touched, by a different part of the elephant, and each of us seeing something very different. None of the men are really wrong, and none of them are right. It is a matter of what you experience, what you see or feel, and how you interpret those things. 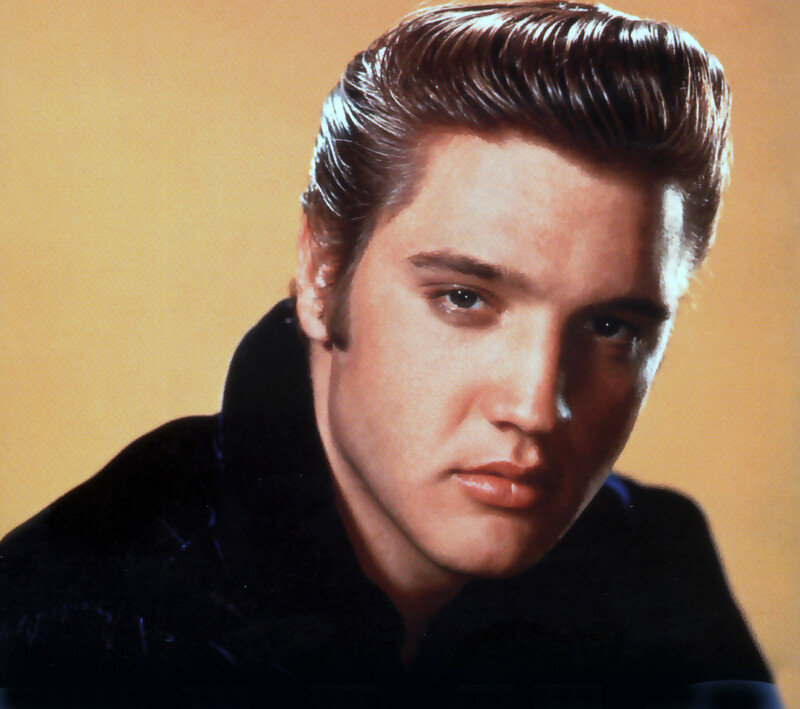 The Ghost Of Elvis Presley, Does The Ghost Of Elvis Still Haunt Graceland? Nell-- Thank you so much. There have been other instances where things like that have happened, but nothing so clear. I just wish I had been able to stop it before it happened. Wow! Great information here. In my experience, it has been a gift to even get a passing glimpse of 'the other side'. Those experiences have cemented my belief in an afterlife and removed my interest in any 'organized' religion or doctrine. A lot of fear is gone from my life, I have a new perspective on events that transpire. I hope your experiences lead you to that comfort from having seen things 'firsthand'. Stephanie Henkel-- Thank you!! I never used to believe. I have always been a bit of a skeptic. I need to add to this hub, as I have been living with a ghost I have named "Carl" for the past 10 months. Fascinating stories, Anna Marie. I'm keeping an open mind on the subject of ghosts as I've had a few weird experiences, myself! Info Help-- I try to keep my head up, thanks!! I have recently moved, and have discovered that my new apartment houses a ghost. He likes to throw things at my fiancé, and change the thermostat. He is more of a source of amusement, than anything. Wow, thanks for sharing this wonderful hub with everyone! I believe in the paranormal and ghosts. I am sorry for the loss of your sister and grandpa. Keep your head up! Ralph-- Thank you for the offer, but I don't have any video or pictures, sorry. All I have is my story. It isn't much, and can't imagine that it would make for very good television. Thank you again for the offer, though. Best of luck!!!! Hi, I'm a story producer for a new television program entitled, "MY GHOST STORY." I would like to hear more about your apparent visit to the "paranormal" or "supernatural." 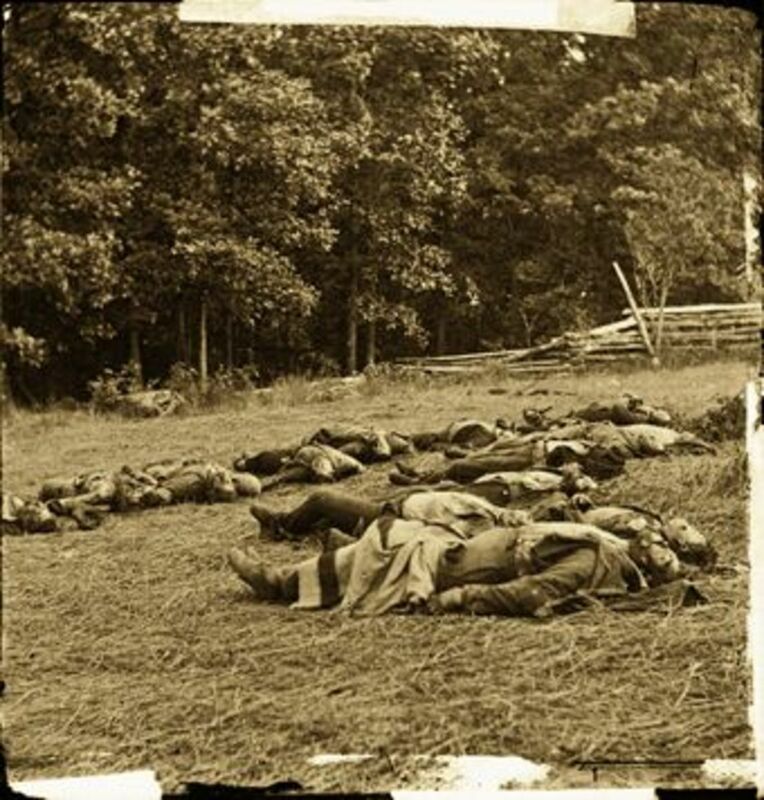 If it is as interesting as the short story I just read on the "ghosts of America" website I would like to get into more detail. We are particularly interested in stories that contain photographs or video relating to the story. If we can come to a mutual agreement we would like to bring you to Los Angeles to participate in one of our first programs. If you are interested in joining our program, please call me ,asap, at the following toll free number: 1-866-476-5947 or 1-310-478-3850. You can also reach me by E-mail at: either "ralph@mppt.tv"
Disturbia-- Interesting! I have always wondered about talking to spirits. You see people talking to themselves all the time, and you assume that they are crazy, but who knows...maybe some of them are actually talking to someone. As for your "lady ghost", it may be your mom, or it may be a take on the whole imaginary friend thing. They may grow out of it. I don't have any answers either. Thank you for stopping by! My mother saw and talked to spirits her whole life. I grew up thinking it was only natural and normal to converse with these invisible beings from other realms. Both my daughters insist that there is a friendly "lady ghost" living in our home with whom they have been conversing for years. I don't believe in ghosts, per say. 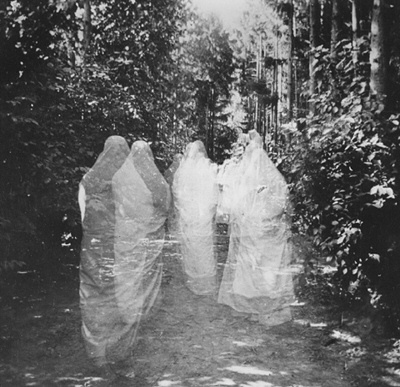 I do believe the "spirits" my mother talked to were most likely a manifestation of some mental illness and that my girls have made up the "lady ghost" as a means of getting attention. But on the other hand, mom has been appearing to me in dreams for some 40 years with all kinds of good advise and words of wisdom. Maybe the friendly "lady ghost" is mom. I don't have any answers, but I enjoyed your hub. Thank you for your comment, and your sympathy. I deal with the losses of those close to me as best as I know how. Thank you again. Very interesting hub. I am always fascinated by the paranormal. Sorry about the loss of your sis and gramps.